Picture schedules are a fantastic way to organize your session. 1. Picture schedules let children know what the session will look like and what is coming up next. Picture schedules provide organization and structure to your session. They allow children to see what the session will look like. Are we playing the gathering drum today? Are we writing a song? 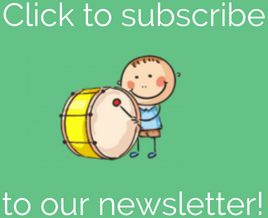 The children love to see if any “surprises” are coming up (for example holiday pictures like a pumpkin for Halloween or Santa for Christmas)! 2. Picture schedules allow for flexibility. 3. Picture schedules encourage participation and direction following. Before each activity I prompt the children in the group to raise their hands quietly (if they need to work on that skill) or to raise their hands and say “Me!” (if they need to work on 1-word utterances). They must follow the directions I give to the class. This also works on impulse control, as the children must wait their turn to be called to come up and pull the next picture off the session schedule. 4. 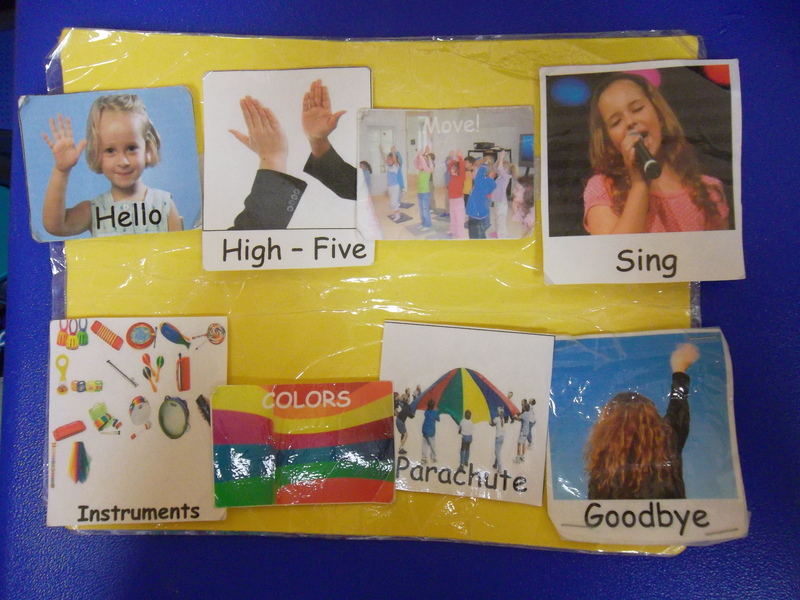 Picture schedules provide multiple opportunities for encouraging expressive language. 5. Picture schedules are multisensory. I know many people are moving to the ipad for picture schedules, etc. But, I like a good ol’ laminated picture schedule because it is multisensory. You can use brightly colored pictures (I use pictures from Google images and West music). You also give the child the opportunity to reach out, grasp a picture and pull it off the schedule (our occupational therapists love this!) There is soft velcro on the picture board and rough velcro on the back of each picture. Multisensory! So, as you can see, I am a huge fan of the picture schedule for the organization AND the flexibility it provides. Join the discussion: do YOU use a picture schedule in your sessions? Why or why not? Great post affirming picture schedules can make a big difference for the kids we serve. Thanks for sharing this perspective! This is an awesome way to use picture schedules. Think about adding some choice boards for even more communication and active participation. 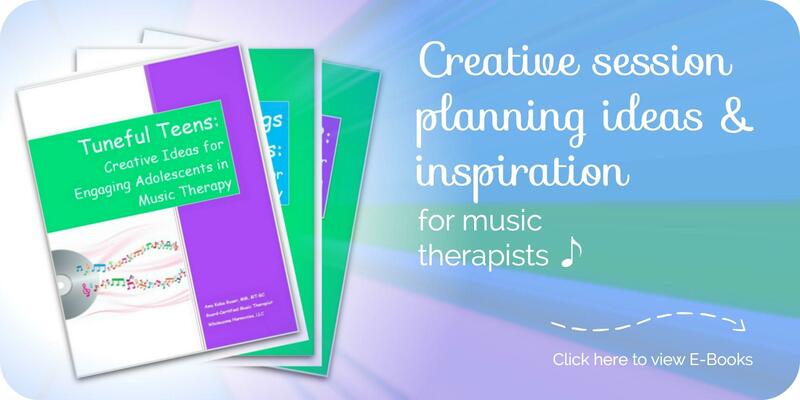 So great to hear about music therapists including visual supports! I love picture schedules. I also use them for what I call “task cards”. I analyze a task into steps with a picture to represent each step. Then the child can pull the picture off when the step is complete and put it on the back of the chart, ready for the next step. As the child grows up, this strategy matures from photo to drawing to word to sentence to represent task steps. Kathy – that is fantastic!! Thanks for sharing so everyone can benefit. I completely agree with using cards as a multi-sensory activity. All the children I work with have an ipad each….I can see some benefits in them, but I try and avoid them in therapy sessions.